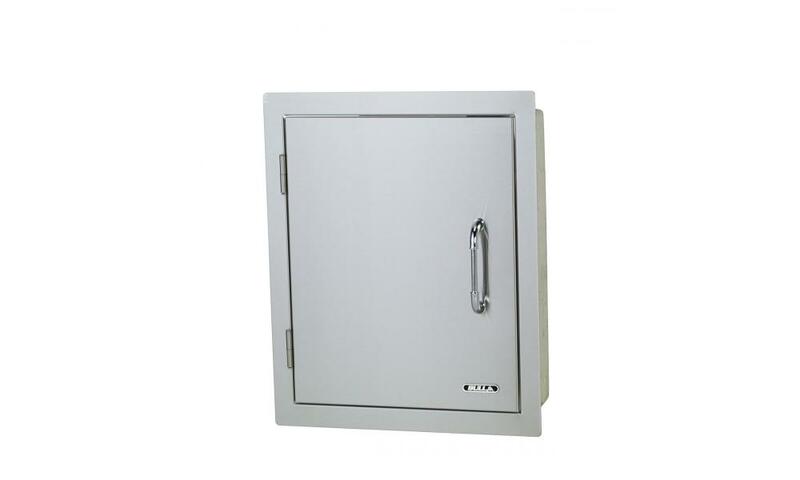 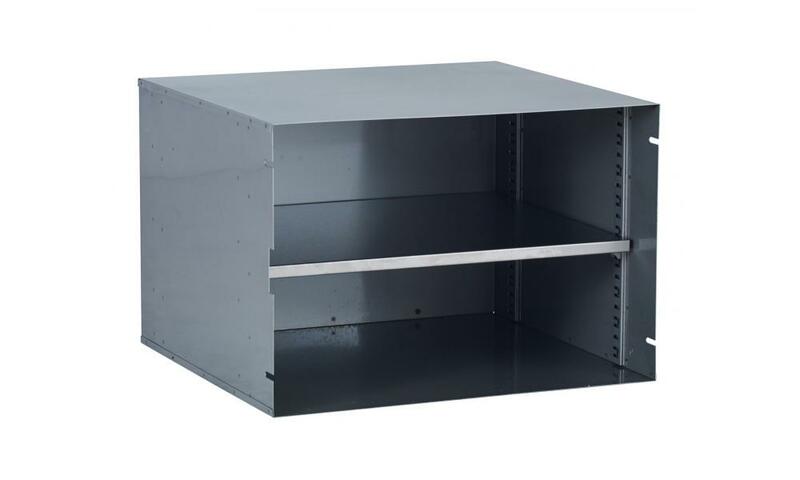 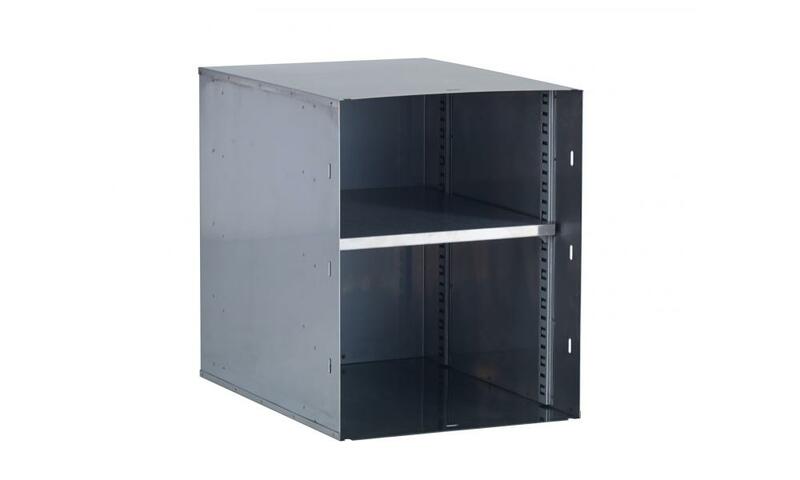 The Vertical Access Door has 304 Grade 16 Gauge Stainless Steel and a double lined door for easy storage of propane tanks and gas lines. 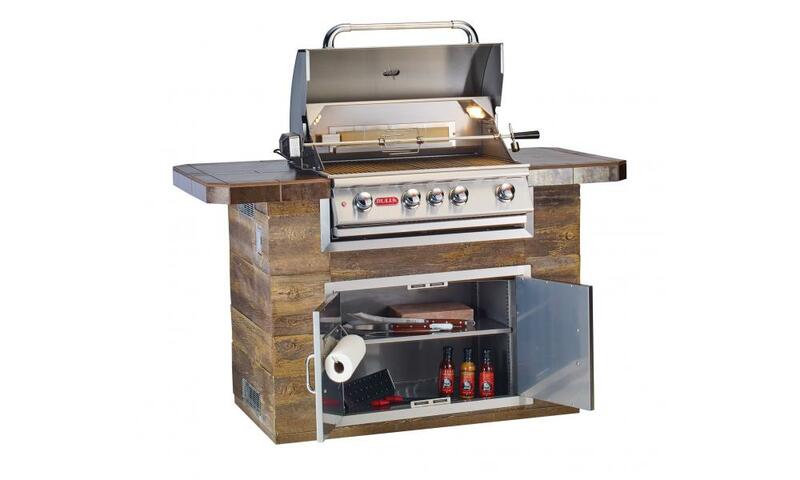 The Bull Outdoor Products Stainless Steel Double Doors provide easy access to the interior of your barbecue island for propane tank storage, gas lines or general storage. 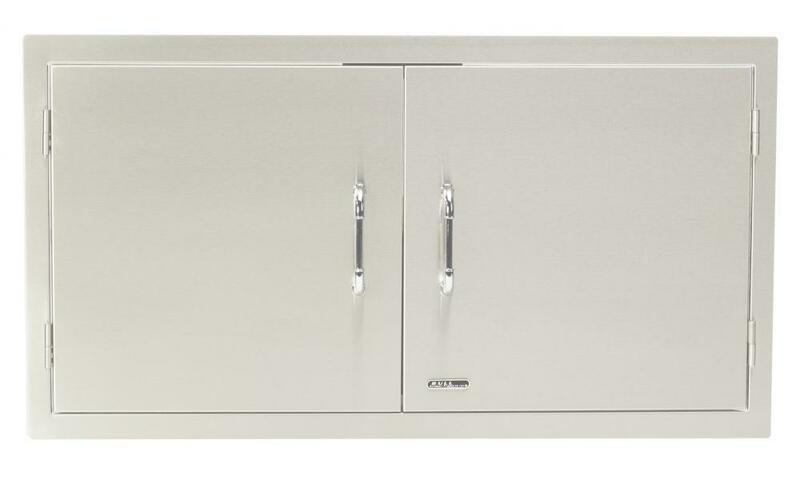 The premium quality construction of the Bull Stainless Steel Double Doors has the high-end fit and finish you would expect from Bull Outdoor Products and they are an attractive addition to any outdoor kitchen. 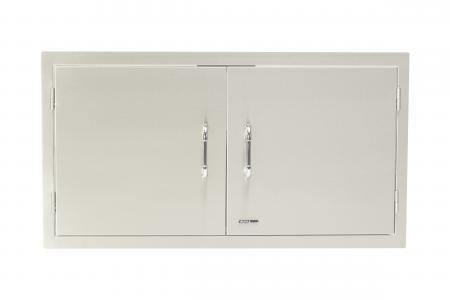 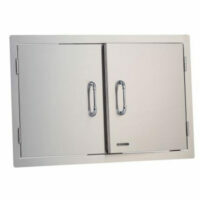 The Bull Single Door Pantry insert offers a space saving storage solution for your bull outdoor kitchen. 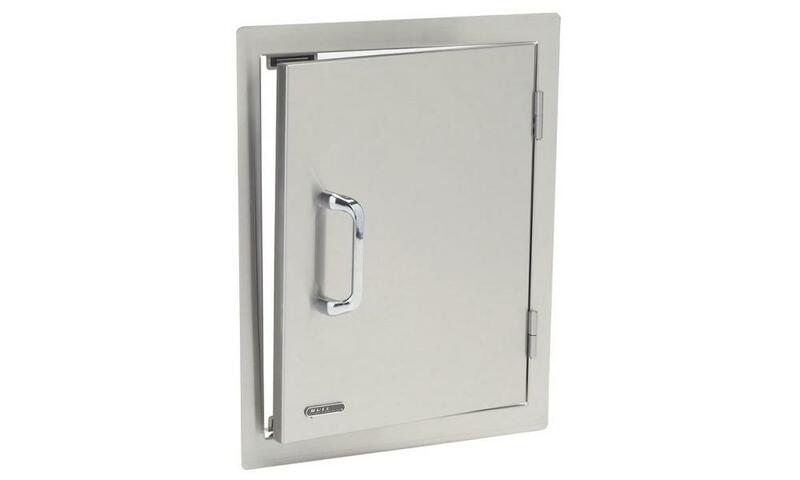 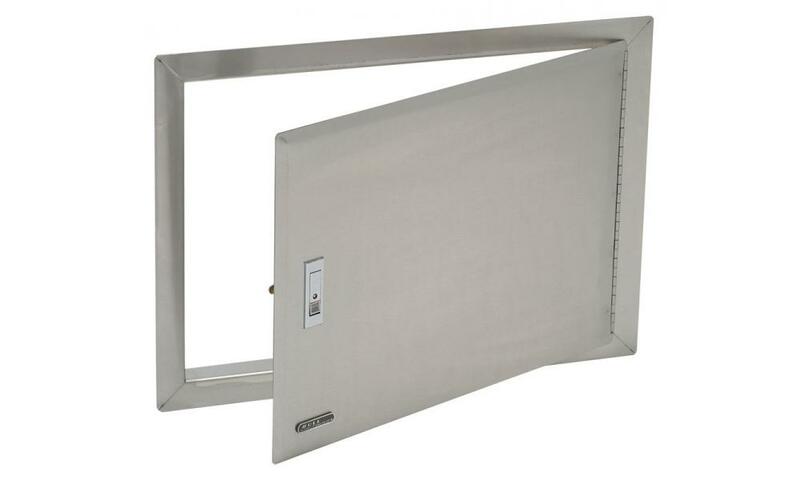 This Vertical Access Door swings left and has 304 Grade 16 Gauge Stainless Steel and a double lined door for easy storage of propane tanks and gas lines. 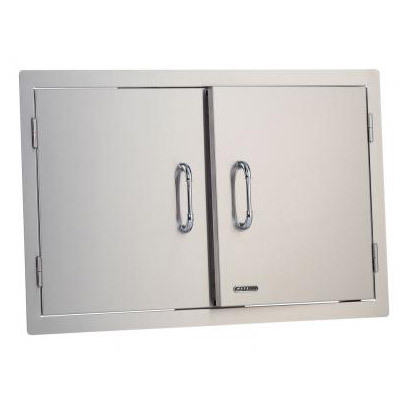 The 38″ Double Doors have 304 Grade 16 Gauge Stainless Steel and double lined doors for easy storage of trash cans or gas tanks.